Do PortAventura World online deals have the same price if purchased from the park ticket booths? Online promotions are only available for advance purchases made through the PortAventura World website. Click here for full details. Do general admission tickets to the theme park have an expiration date? Tickets purchased via the PortAventura World website are valid for a specific period of time, indicated at the time of purchase. Click here for full details. Where do I collect tickets purchased via the PortAventura World website or by telephone? You will receive the tickets by e-mail for you to print and present at the park entrance. When purchasing tickets in advance it is not necessary to go to the PortAventura Park and PortAventura Caribe Aquatic Park ticket booths. If you do not have the tickets, you can print them at the park's ticket booths for an additional charge of €3. What is the price of admission for children? Admission to PortAventura Park and PortAventura Caribe Aquatic Park is priced according to the age of the visitor. Click here for full details. Does hotel accommodation include free admission to PortAventura Park? Guests of our hotels enjoy free and unlimited access to PortAventura Park. You can enter the park from 10 a.m. on the day of check-in until closing time on the day of departure. Click here for full details. Is there a separate ticket type for people who do not wish to go on the rides? At PortAventura Park even people who do not like rides can spend the whole day in the different themed areas with fabulous shows, all kinds of restaurants and shops filled with exclusive products. How do we prove that we are a large family to take advantage of the special rate on admission? The large family discount is valid for one-day entry to PortAventura Park or PortAventura Caribe Aquatic Park for families with 3-6 children. It is valid for one-day entry to either park. It is not valid for night tickets. It is necessary to present the relevant documentation to take advantage of this special rate. Click here for full details. How do I prove disability to take advantage of the special rate on admission? You can buy your tickets to the PortAventura World parks at the ticket sales offices or at the Guest Service Office for Visitors with Special Needs; you will be required to present an official document certifying that the holder has a recognised disability of at least 33%. Click here for full details. Where can I find promotional codes for discounts? Promotional codes are given to affiliates or employees of partner companies of PortAventura World. Discount codes are provided by these associations or companies. How many people are required for group bookings and how can I make a group booking? Do I have to pay a supplement on my ticket or hotel reservation if there is a special event in the park? With a full one-day ticket or access to the park if you are staying at one of our hotels, you can enjoy the special events held at PortAventura with the same ticket at no additional cost. Consult the Calendar with all opening times and information on all of our Special Events. What are the special opening times and prices for night tickets and White Nights in PortAventura Park? 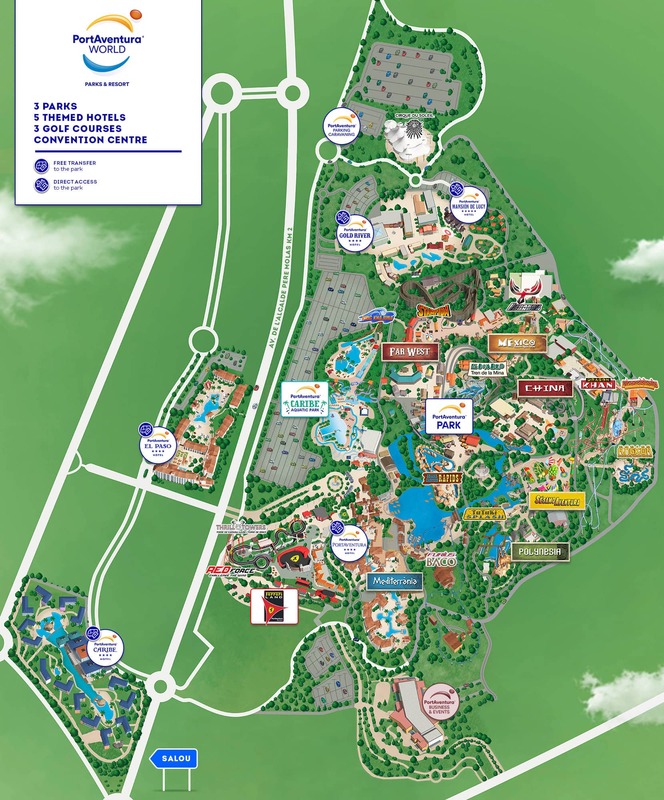 PortAventura Park offers tickets at reduced prices. Click here for full details. What is included in a PortAventura Park entry ticket? With a PortAventura Park ticket visitors have free access to the rides and shows in our worlds as well as our restaurants and shops. On exceptional occasions, PortAventura may organise special events outside and within site opening hours that may or may not be included in the price of tickets and/or passes purchased to access PortAventura's facilities. For further details click here to read the PortAventura World Terms and Conditions. If it rains, do we receive a refund? The park does not close its gates because of rain. Some attractions may temporarily close if necessary for safety reasons and depending on the intensity of the rain or wind and the individual attraction. You will still be able to enjoy the indoor shows and any rides that do not pose a safety risk to our visitors. Tickets will not be refunded under any circumstances. For further details click here to read the PortAventura World Terms and Conditions.